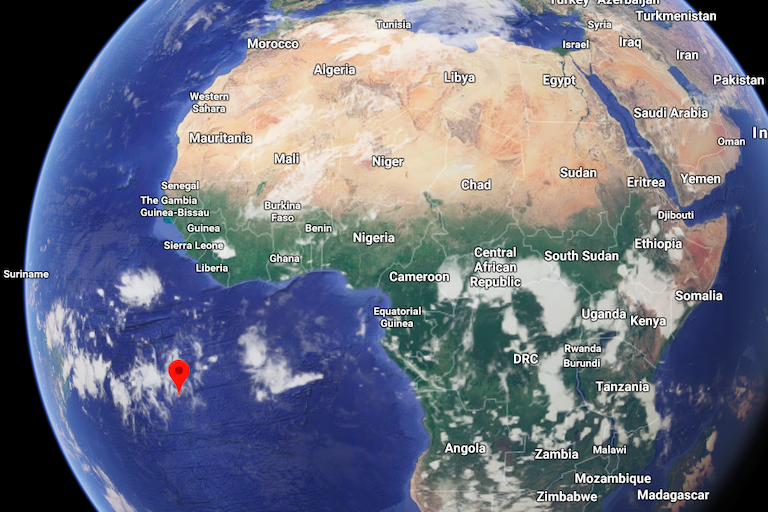 The British government has announced the creation of a fully protected “no-take” marine protected area (MPA) in the waters around Ascension Island in the South Atlantic Ocean. The MPA will cover 443,000 square kilometers (171,000 square miles), making it one of the largest MPAs in the Atlantic. The British government has joined calls for the protection of 30 percent of the world’s oceans by 2030. The dramatic coastline of Ascension Island, one of the most remote bodies of land in the world. Image by Drew Avery via Flickr (CC BY 2.0). Map shows the location of Ascension Island. Image courtesy of Google Maps. 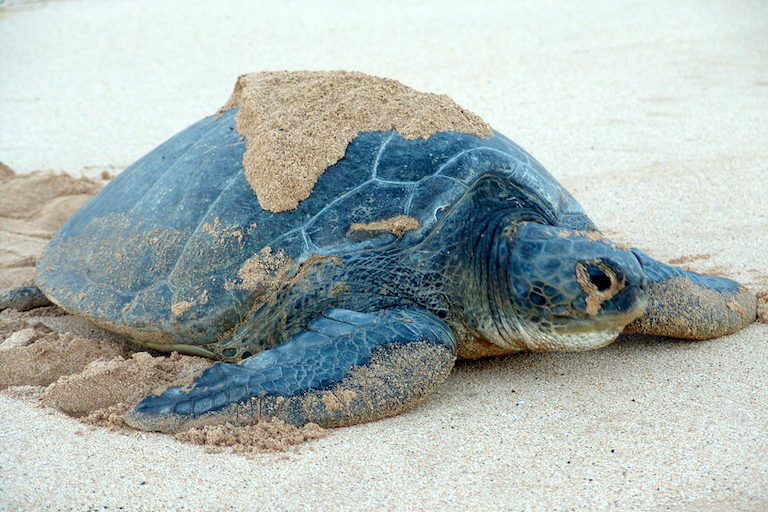 A female green turtle (Chelonia mydas) nesting on one of Ascension Island’s beaches. The island is home to the second-largest population of green turtles in the Atlantic. Image by Drew Avery via Flickr (CC BY 2.0). 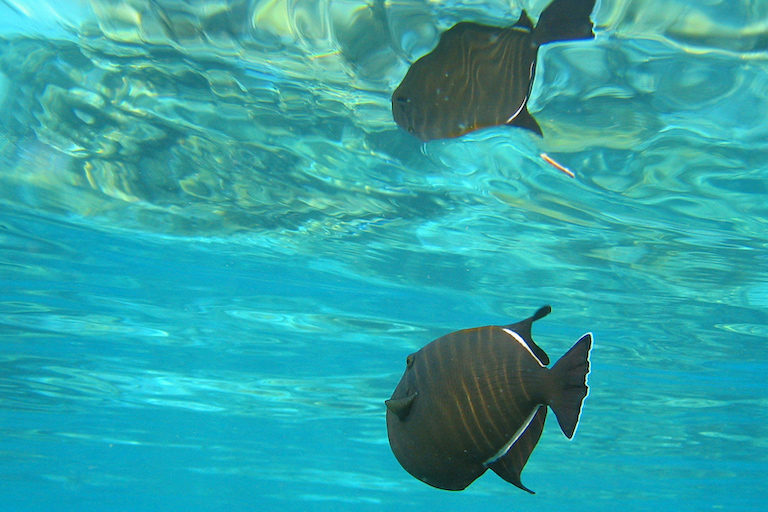 A black triggerfish (Melichthys niger), one of the most abundant fish species in Ascension Island’s waters (photographed in the Maldives). Image by Jan Derk via Wikimedia Commons. 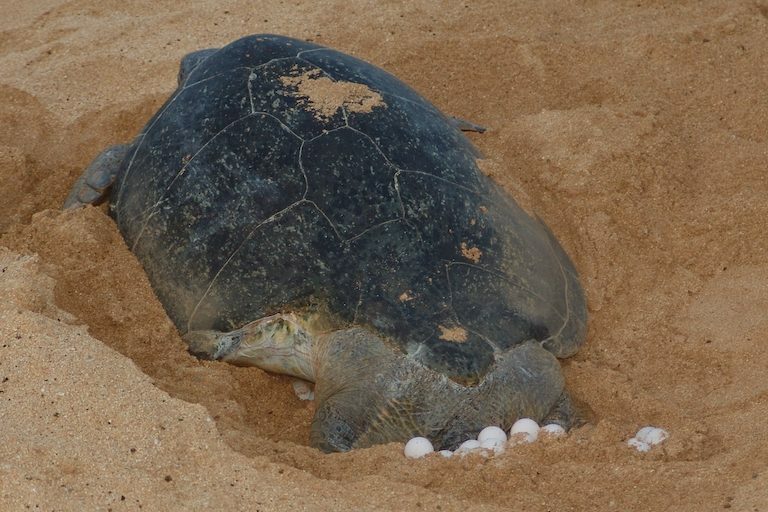 A female green turtle (Chelonia midas) nesting on Ascension Island. The population has increased by 700 percent following protections after centuries of hunting. Image by Drew Avery via Flickr (CC BY 2.0). Banner image: A female green turtle (Chelonia mydas) on Ascension Island. Image by Drew Avery via Flickr (CC BY 2.0). 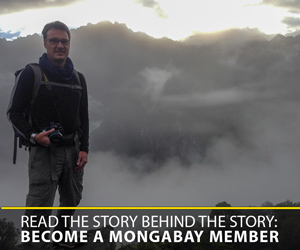 Sophie Manson is a reporter and biologist who has studied sharks, tenrecs and tropical fruitflies. She currently works on the U.K.-based data team of the Limpopo Dwarf Mongoose Research Project. Brickle, P., Brown, J., Küpper, F. C., Brewin, P. E. (2017). Biodiversity of the marine environment around Ascension Island, South Atlantic. Journal of the Marine Biological Association of the United Kingdom 97(4): 643-646. Rowlands, G., Brown, J., Soule, B., Boluda, P. T., Rogers, A. D. (2019). Satellite surveillance of fishing vessel activity in the Ascension Island Exclusive Economic Zone and Marine Protected Area. Marine Policy, 101: 39-50.